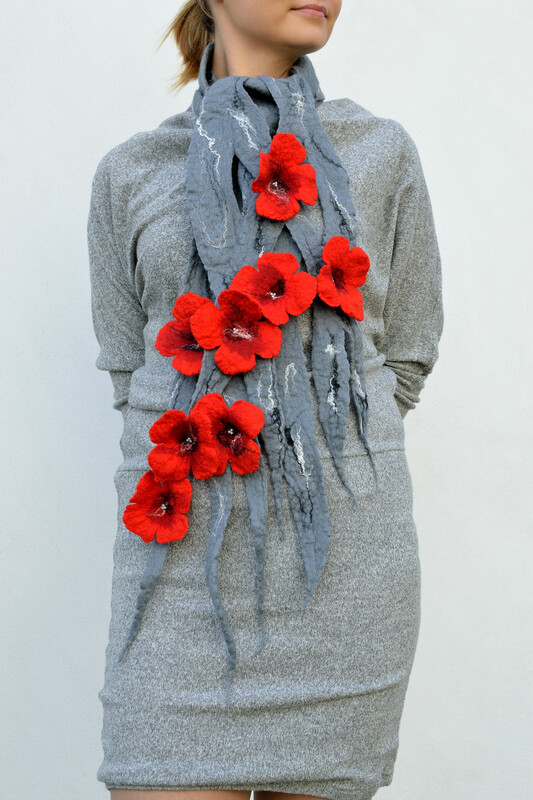 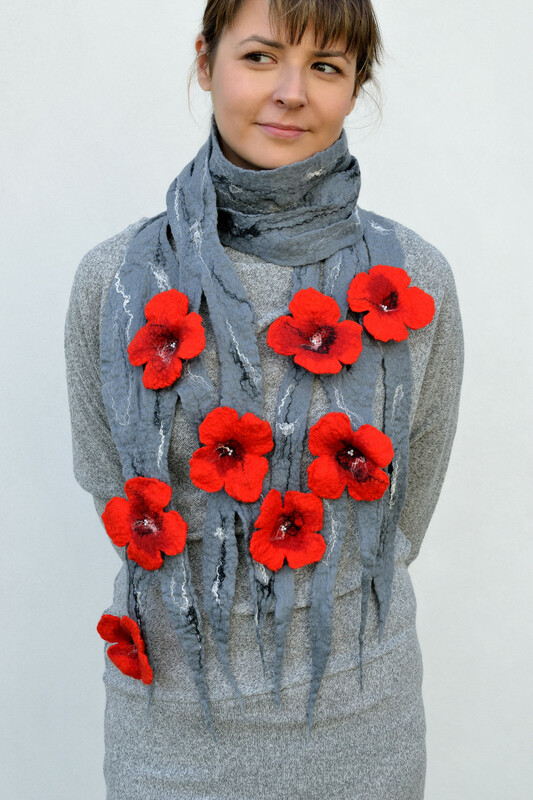 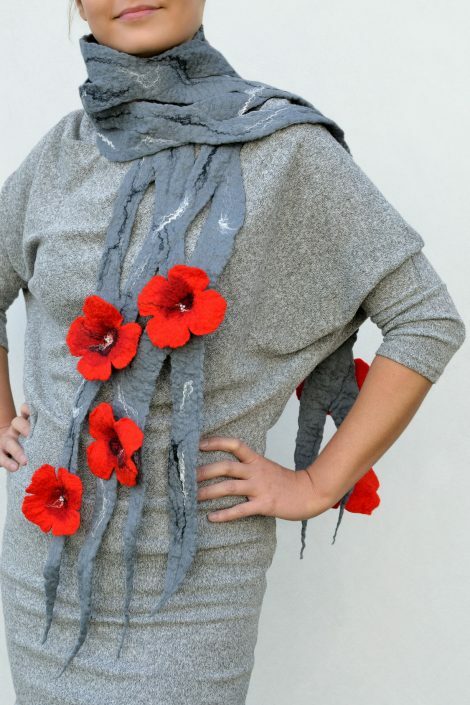 This gray felt scarf has eight red flowers sewn here and there. 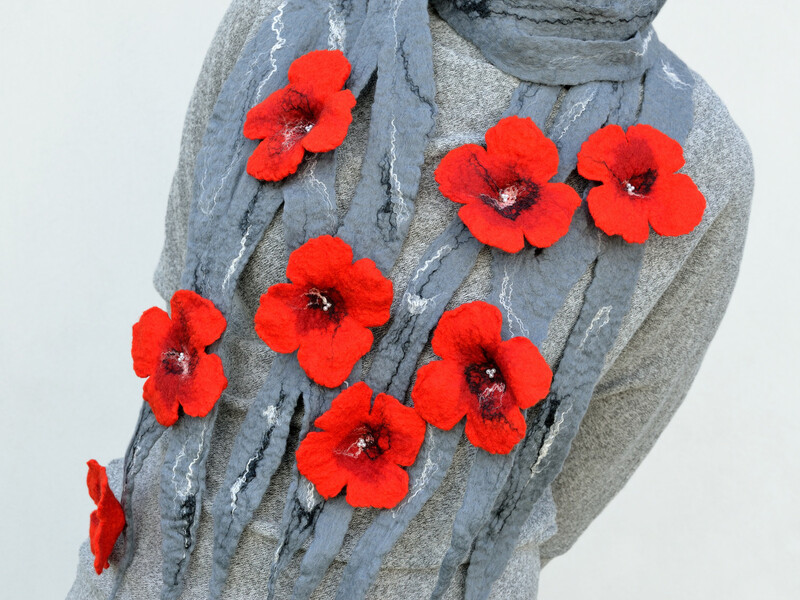 You can wear them in a front or back to give yourself a romantic look. 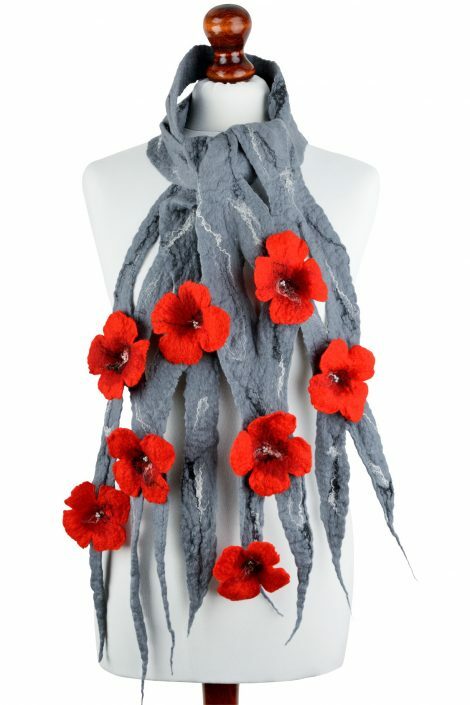 This gray felt scarf is very romantic and stylish at the same time. 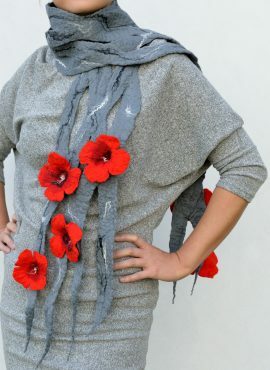 It is perfect for women who accessorize with gray but can’t resist red flowers here and there. As this wool scarf has an airy design, it is very lightweight and breathable. 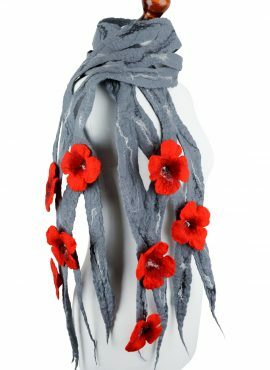 You can wear it to warm your neck a bit or just to decorate your outfit with a unique felted accessory. 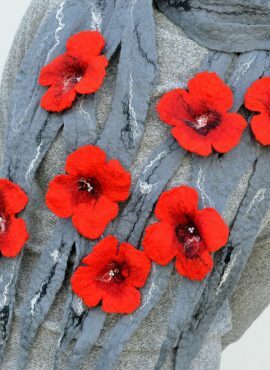 I make this gray felt scarf by hand. 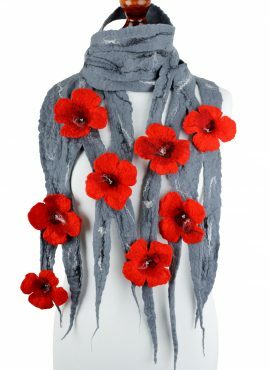 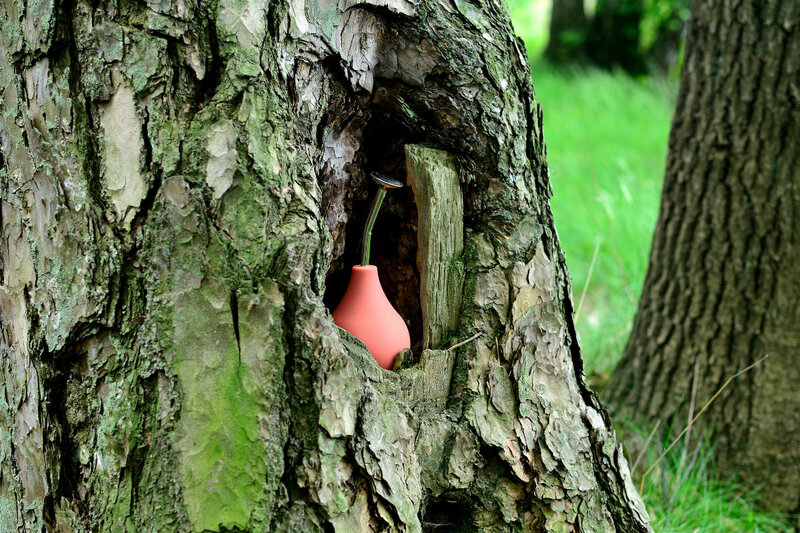 It consists of soft merino wool, which is very cozy and nice in touch. 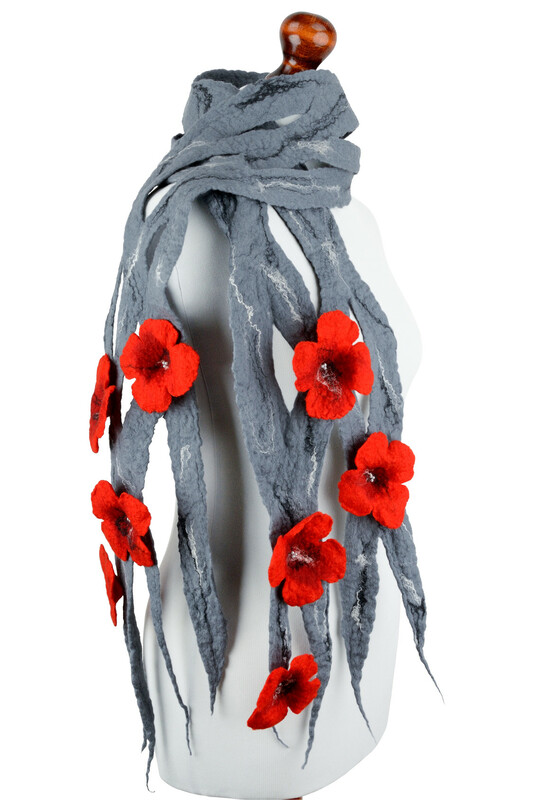 As an attraction and decoration I add natural silk fibers in black and white. 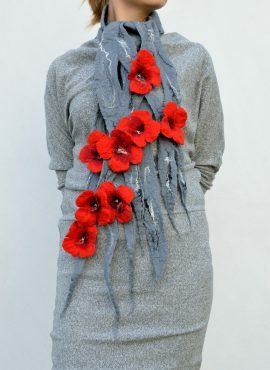 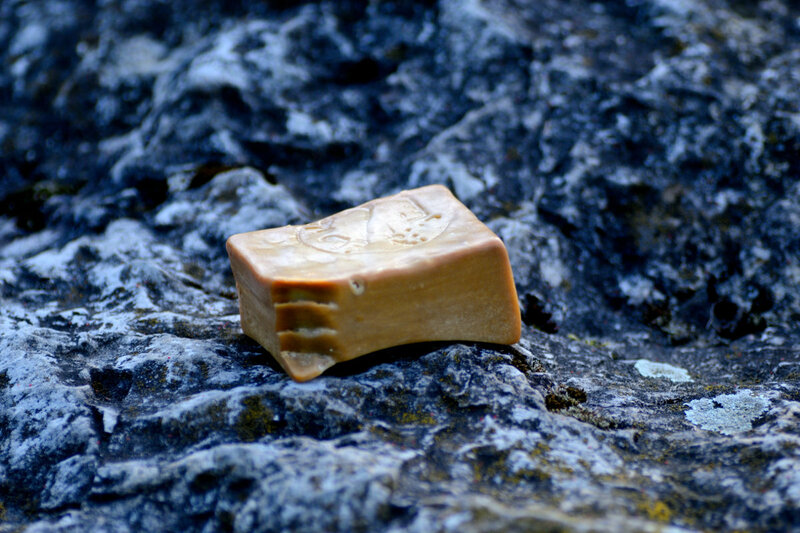 They make each piece a bit different and more artistic. 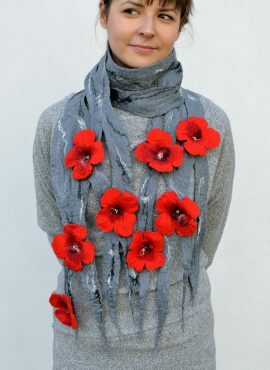 Still, the most eye-catching feature of this scarf are 8 felted flowers. 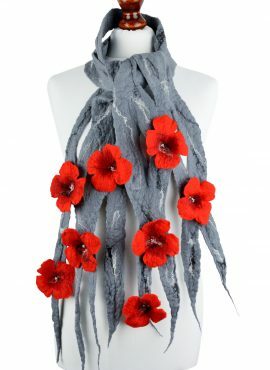 I sew them in different places and add a few glass beads in the middle of each. They are lovely and you can wear them in a front or back. 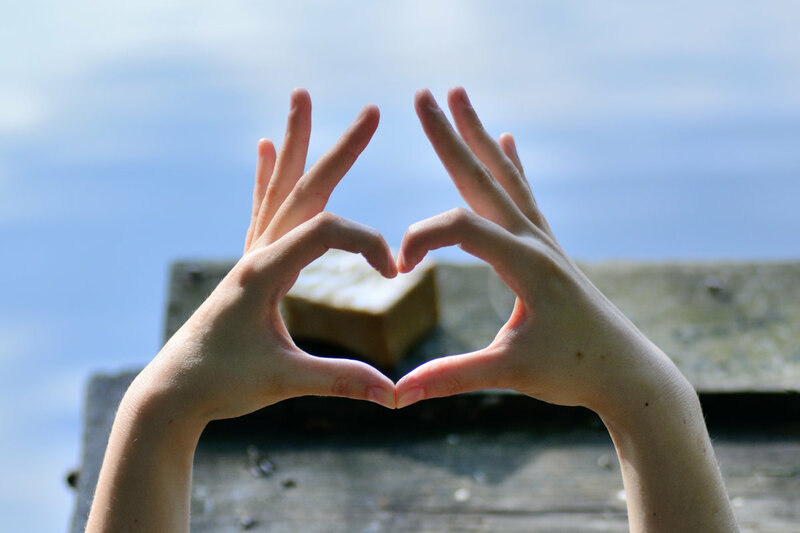 Both ways are good and will give you a romantic look! Je suis tres satisfaite! 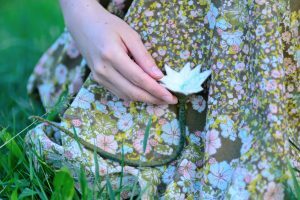 Magnifique, vrai perle dans mon garde-robe. 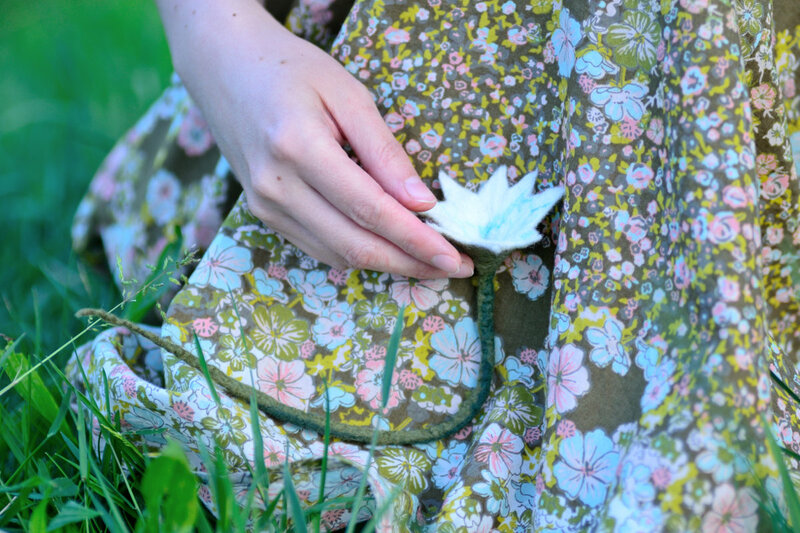 Merci beaucoup.